I now have to hand stitch the facing down on the back and it will be done. I had a lot of fun with this piece. 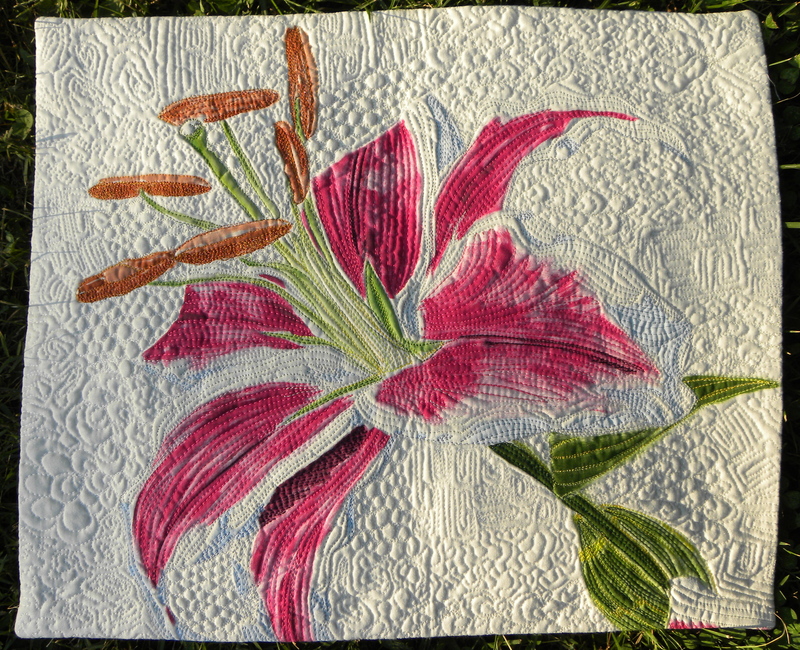 I did a minimal paint job on the lily and did a lot of work filling in with stitching. I also really enjoyed doing all the background quilting. 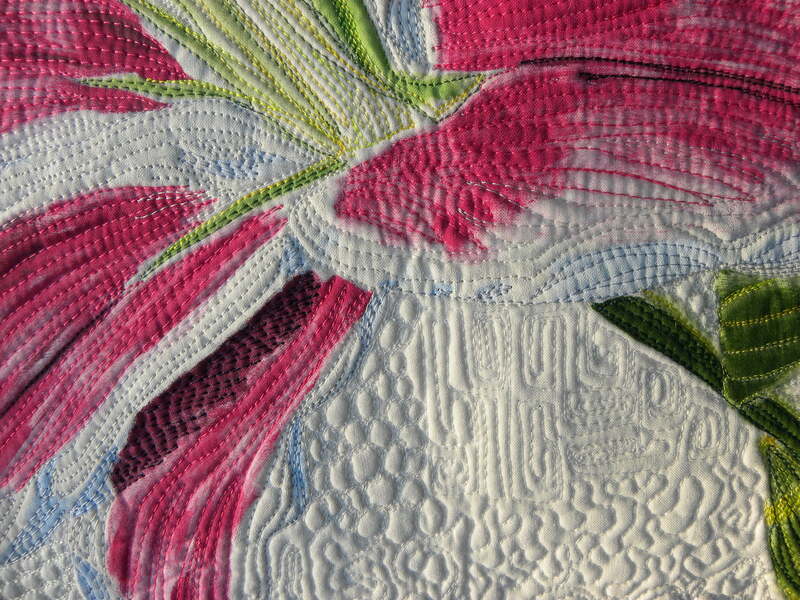 Here is a detail of my favorite background quilting stitches. Thanks Mary! I had a lot of fun working on this piece. The lily is just so beautiful. Exquisite.